Our programming focuses on the issues that matter to Australians and our international trade and tourism partners. 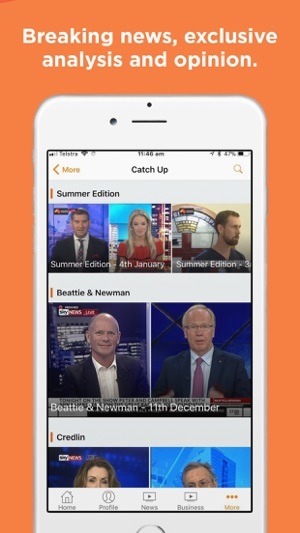 Get the latest insights and analysis from some of the biggest names in politics, including David Speers, Peta Credlin, Paul Murray, Kieran Gilbert, Bronwyn Bishop, Andrew Bolt and Laura Jayes. News you can trust, opinions you can't ignore. 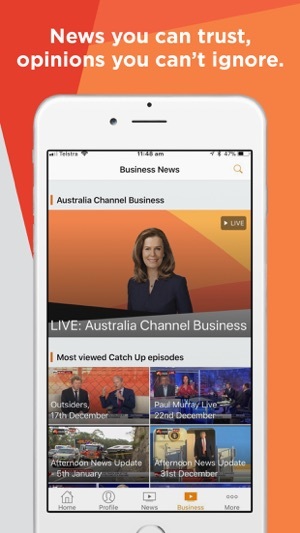 Australia Channel is an international service which is not available to stream from within Australia or New Zealand. The loading wheel of death... on all platforms. I have tried this on Laptop, Phone, Tablet and Apple TV none will load the live stream content. I have also tried running on different wifi networks...all the same result. However, the preloaded content works fine. 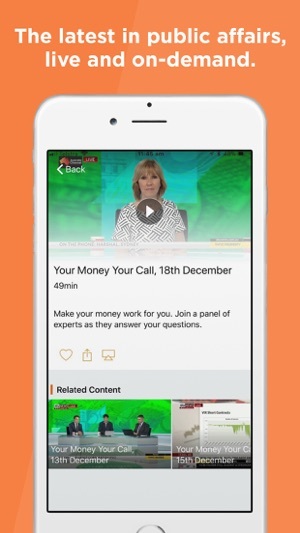 Just the live streaming of news programs....which you would think is the bread and butter of this app. Will be cancelling now before my one week trial is over. 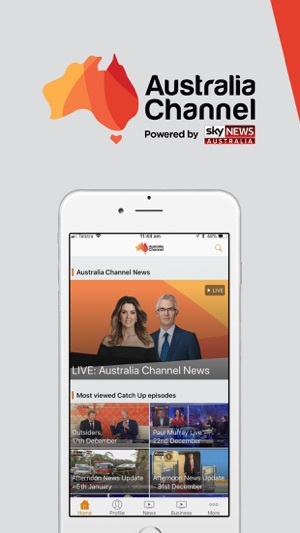 Agree with an earlier review, the live stream will just not load, has anyone of the developers tried to use it outside of Aus? Doesn’t fully work in China. Requires VPN to stream in China - which rules out Apple TV.